Beautiful picture frame wall stickers to make a feature wall Great to display photographs, children's artwork, posters or precious keepsakes. Why n..
Our beautifully designed wall stickers and wall quotes are a stylish modern way to decorate a room or carry out a room makeover, without the mess. ..
Our Single Personalised Butterfly is a wonderful addition to your Child's room. Add a personal touch to compliment your decor. 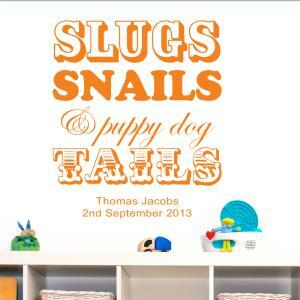 Easy to apply and ea..
A classic wall quote to brighten up your little ones bedroom or nursery. 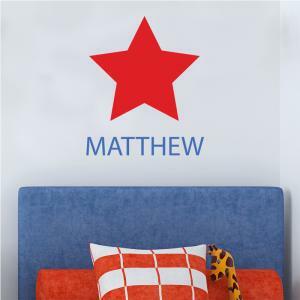 Our beautifully designed wall stickers and wall quotes are a stylish, mode..
Our beautiful moon and star designed wall stickers and wall quotes are a stylish, modern way to decorate a room or carry out a room makeover, without ..
You are a Star Personalised Wall Sticker. Let your child know how precious he or she is. 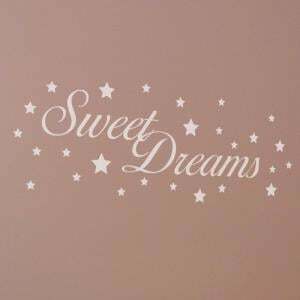 Our beautifully designed wall stickers and wall quotes are..
A classic wall quote to brighten up your littles ones bedroom or nursery. 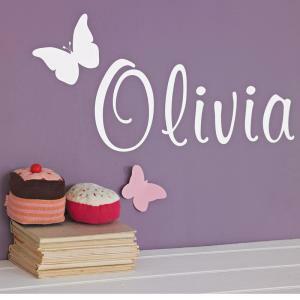 Our beautifully designed wall stickers and wall quotes are a stylish, mod..
A very pretty wall art sticker to compliment your's or your Child's bedroom. Add a personal touch to compliment your decor. 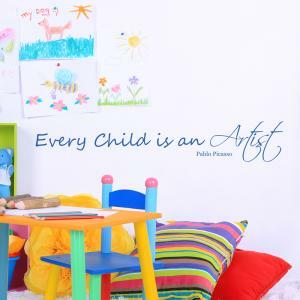 Easy to applyand easily re..
'Every child is an artist' is a great wall sticker to enhance your children's artwork. 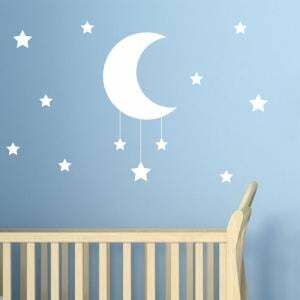 We all love to display our children's favourite artwork, so ..
Shh... Wall Sticker Hush baby sleeping!! Perfect wall sticker for your baby's nursery. Add a personal touch to compliment your decor. 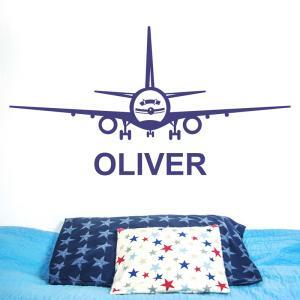 Easy to..
Aeroplane Personlaised Name Wall Art Boys aeroplane wall stickers,Unique personalised name wall art sticker. Add a personal touch to compliment .. 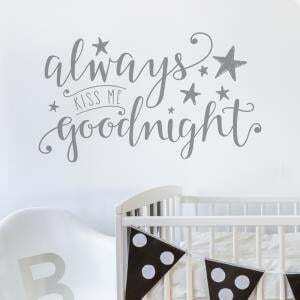 Always Kiss me Goodnight Wall Sticker Nutmeg's unique nursery wall stickers add a personal touch to compliment your decor. Our beautifully desig..